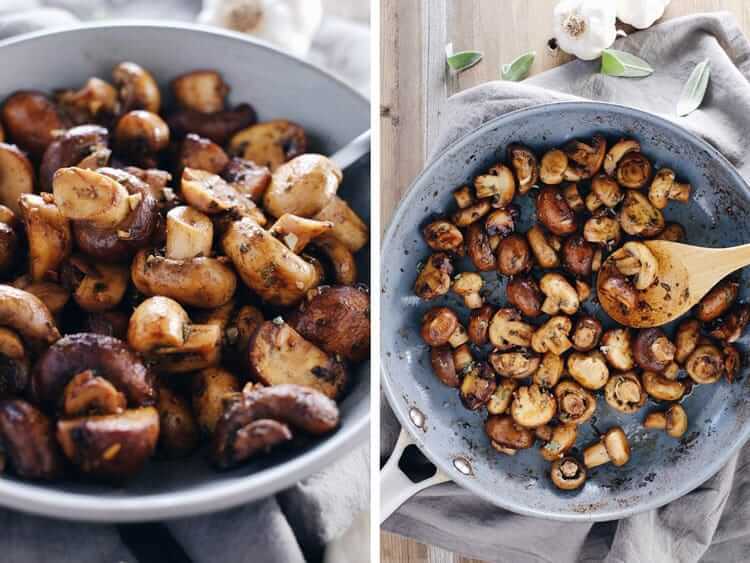 If you are looking for an easy and delicious side dish, check out these garlic and sage brown butter mushrooms! They are extra tasty and go great with any protein; our favorites are fish and steak. 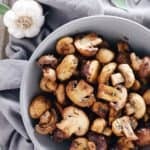 Is there ever a time when garlic doesn’t seem like a great idea? Seriously, I really can’t think of a time except for when making sweet things, but why would you use garlic then? We add garlic to many of our dishes, and we really can’t ever get enough. We are those people who are following a recipe, and it lists one clove of garlic, so we use at least two. We just love it. 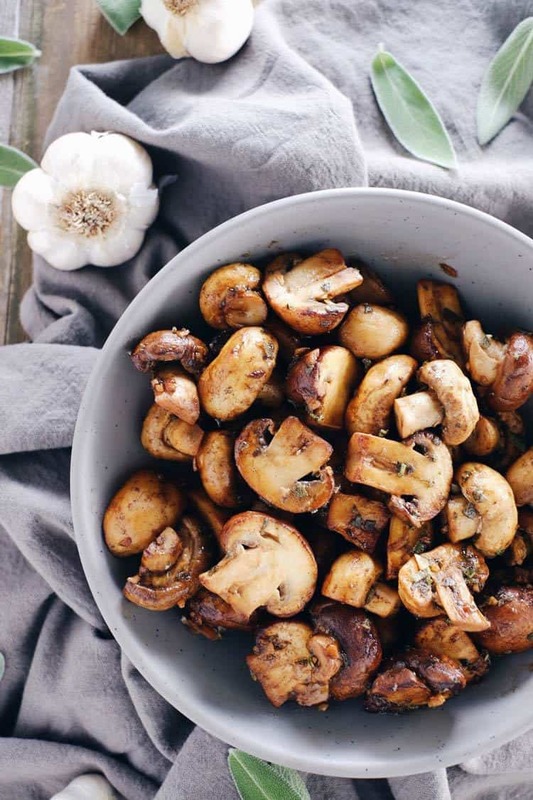 These garlic and sage brown butter mushrooms are the perfect dish for making extra garlicky, and paired with the sage and brown butter, you really won’t be disappointed. Brown butter is the ingredient that magically enhances the rest of the flavors in the dish, and it is also easy to make. You just heat up your butter in a skillet over medium heat until the butter turns a light brown color. That’s it. If you haven’t tried brown butter in any recipes yet, you really must give it a go! 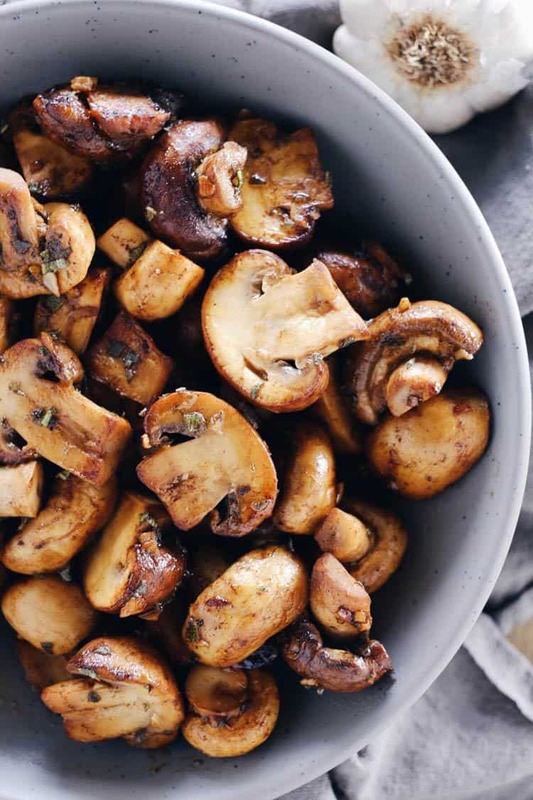 Ok, it’s your turn to make this magical side dish of garlic and sage brown butter mushrooms, and let us know how it goes by leaving a comment below. Also, take a photo and tag us on Instagram @realsimplegood, so we can check it out! 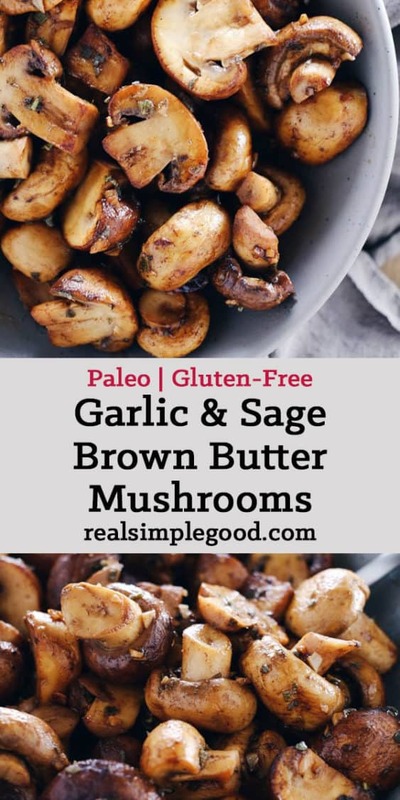 Cut mushrooms, garlic and sage as noted. In a large skillet over medium heat, add butter. Cook the butter over medium heat, stirring frequently, until it starts to turn a nice light brown color, about 4-5 minutes. Add in the mushrooms and stir to coat with the butter. Then, add in the garlic, sage and lemon juice and mix well. Cook another 5 minutes, stirring frequently, until the mushrooms are just getting tender. Taste and add any salt and pepper or additional lemon juice to flavor as desired. Serve and enjoy.